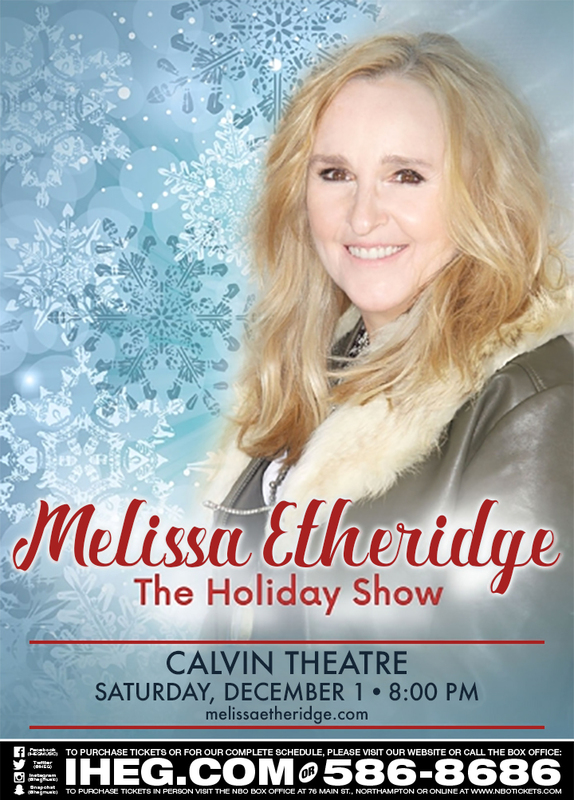 Melissa Etheridge presents her Holiday Show at the Calvin Theatre in Northampton on Saturday, December 1st. Tickets on sale this Friday, Sept. 21st at 10AM. Melissa Etheridge is one of rock music’s great female icons. Her critically acclaimed eponymous debut album was certified double platinum. Etheridge’s popularity built around such memorable songs as “Bring Me Some Water,” “No Souvenirs” and “Ain't It Heavy” for which she won her first Grammy for Best Female Rock Vocal. Etheridge hit her commercial and artistic stride with her fourth album, Yes I Am, featuring the massive hits “I’m the Only One” and “Come to My Window,” a searing song of longing that brought her a second Grammy. The six times platinum album spent more than two and a half years on the album chart. Etheridge is also an Oscar winner for Best Original Song in 2007. In 2011 Melissa made her Broadway debut as St. Jimmy in Green Day’s rock opera, American Idiot, where she replaced Billie Joe Armstrong for one week, and received a star on the Hollywood Walk of Fame. In fall of 2016, Etheridge released Memphis Rock & Soul, her first album since 2014. Recorded at Royal Studios in Memphis, the album features original material as well as interpretations of classic songs from the legendary Stax catalog. 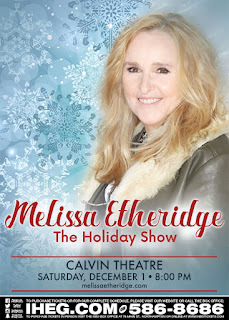 For this special holiday show, Melissa will be performing songs from her 2008 holiday album, A New Thought For Christmas. Songs will include fan favorites and holiday classics such as “Merry Christmas Baby,” Have Yourself A Merry Little Christmas,” “O Night Divine” and more. Northampton Box Office 413-586-8686 daytime.